Which degree grid should I get for my lightbank? While the right grid is dependent on the application, we can offer up our most often selected grids. As a whole, 40 degree grids are the most popular choice, offering a balance between controlling light spill and maintaining a good level of light output. These offer the ability to prevent unwanted light soill with a healthy area of coverage. Many of our rental customers include a 60 degree grid in addition to a 40 degree as part of their rental kits. This provides the widest beam angle, but maintains a good level of control over the coverage area. We also see many rental kits including both a 30º and 60º grid as well. 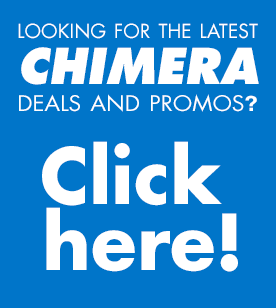 https://chimeralighting.com/wp-content/uploads/2017/08/chimera-lighting-logo-copy.png 0 0 Chimera Lighting https://chimeralighting.com/wp-content/uploads/2017/08/chimera-lighting-logo-copy.png Chimera Lighting2017-02-21 08:47:232017-07-03 13:36:54Which degree grid should I get for my lightbank? Fabric Barn Doors vs. Grids? How do 20×60 and 30×50 degree fabric grids work?